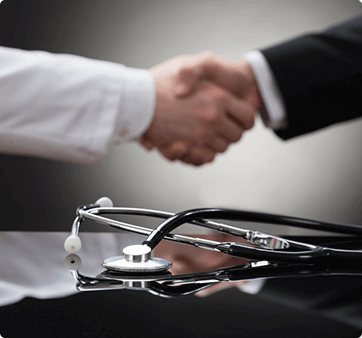 Within the healthcare community, HealthCore Services has established a strong partnership program built on maintaining professional relationships with trust and integrity. We are actively seeking healthcare providers, self-insured or fully funded employers, and vendors with healthcare-based services that are interested in working with us. Whether you’re a primary care provider, medical specialist, mental health professional, or physical therapist, HealthCore can help grow your practice. We’ll identify opportunities to expand your services and build relationships to increase your referral sources. The experts at HealthCore can also identify and help you implement patient engagement strategies that build loyalty and help patients feel connected to your practice. In addition, we will actively promote your practice within the community to build your reputation and name recognition. HealthCore works with employers of all types and sizes from many different industries to help you implement an outcomes-based wellness program and engage employees to utilize the services you offer, from mobile health screenings to smoking cessation and nutrition counseling to telehealth. In addition, HealthCore can help you establish an occupational health and safety screening and testing program by connecting you with a mobile medical clinic that provides a full range of services for your employees anywhere in the United States. If you already have a program, we can help you make improvements and track the results of employee exams to limit your liability. Are you looking for someone to staff and manage an on-site health clinic? Are you interested in offering a near-site clinic for your employees? We can determine which of these options is best for you, help you decide what services to offer, connect you with local physicians who can provide these services, help you negotiate a contract, and assist you in implementing an on-site or near-site clinic. Interested in partnering with HealthCore? If you are a solo or group practice provider, medical director, corporate executive, HR benefits manager, corporate wellness manager, university president, school nurse, health services vendor, or one of the many people whose business can benefit from our services, please contact us today. Call (866) 569-5622 to learn more about how we can revolutionize the healthcare industry together.